PropTech has certainly been a popular buzzword in the industry over the last couple of years and has evolved dramatically. 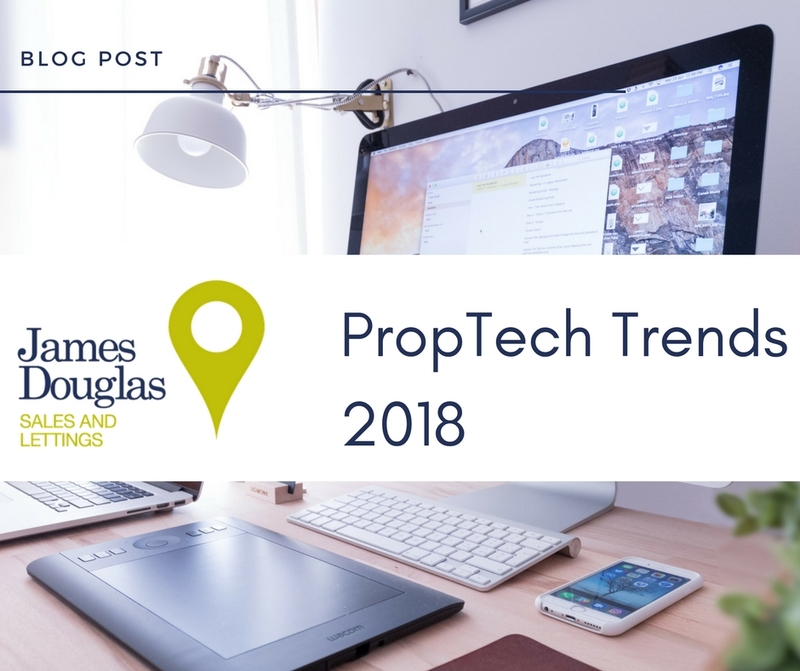 From virtual viewings to cryptocurrency, we look at the top trends of the year and how PropTech will impact the future of the property industry in both sales and lettings. One of the most newest advancements to PropTech is the idea that search engines such as Google and Amazon, triggered by voice activated instructions could help you find your next home. New products like Amazon Echo Show, which is a screen-based device that works off voice activation and user data preferences, could show properties of your choice by voice command. For Example ‘Alexa, show properties with an Open House for sale in Cardiff this weekend?’ If this type of property search became popular with the consumer, property portals such as Rightmove and Zoopla could potentially decline in use, as technology could pull specific consumer requests from across the web. Virtual Reality, (known as VR) is probably one of the most talked about PropTech movements in the industry. Viewing properties online can consist of a combination of photos, videos and 360 tours. Virtual reality allows for an all-immersive experience of house or apartment that someone has never visited. A better ‘feel’ for the property, could potentially save agents time, as people can shortlist their properties more efficiently with these tools to hand. Whilst VR tours wouldn’t completely replace a viewing with an agent, they could become the norm for listings and help customers to narrow down their searches when beginning their property search. Based on location, this technology is one most closely related to the property market. Geolocation tools are reinventing the use of maps and can accumulate data such as building types, sale vales and points of interest. This allows for properties to be analysed by area in much thorough detail and could also be used to target specific property types. PropTech tools, such as online valuation tools use this kind of technology to automatically generate a valuation on a property for sale. Similarly to Virtual Reality, this type of ‘auto-valuation’ should never replace an agents valuation, as these need to match a surveyors report to obtain a mortgage, so a more accurate valuation will most likely need to be given further down the line. With what started as a boom at the beginning of the year, Bitcoin amongst other cryptocurrencies, hit the headlines when these type of transactions were made for property. Any financial technology ‘FinTech’ will impact the property industry and this blockchain revolution means that property buyers would no longer require solicitors/lawyers, as payments are rendered automatic and are not bound by country-specific interest rates and transaction charges. Investors in the UK have started selling houses for Bitcoin but with a high risk profile and the ever changing value of the cryptocoin, it will take a significant number of years before the possibility of this type of transaction becoming mainstream. Most leading property agents are now using some form of Live Chat system via their website, even using third party providers who offer a 24/7 chat service to their website to encourage leads. However, the ever-changing PropTech world has allowed for the next stage of this which are ‘ChatBots’. These are automated system messages designed to provoke and hold conversations with your customers obtaining the relevant information you need. This computerised way of communication could also result in prospective vendors obtaining online valuations and location advice all via the bots! PropTech is playing a significant part in the property sector and many PropTech ‘bolt ons’ are being adapted by agents to achieve a competitive advantage. Selling or buying a property is one of the biggest transactions you will ever make and therefore to complete this process a combination of Proptech and human interaction should take place for the most efficient level of service. Whilst PropTech is beneficial for lead generation and engaging with consumers new to the market, there will always be the need for human expertise and interaction during such a complex process.